For the second time, Worcester Polytechnic Institute (WPI) has been selected as a finalist in the Solar Decathlon, a prestigious international competition between universities to design, build, and operate a net zero energy dwelling. WPI will lead Team OCULUS, one of 20 teams representing 40 universities from around the world that will gather in Morocco in September for the 2019 Solar Decathlon AFRICA. The goal of the Solar Decathlon—being held in Africa for the first time—is to challenge university teams to develop solar-powered houses that are cost-effective, energy-efficient and attractive while incorporating the region’s unique characteristics and local resources into green buildings. 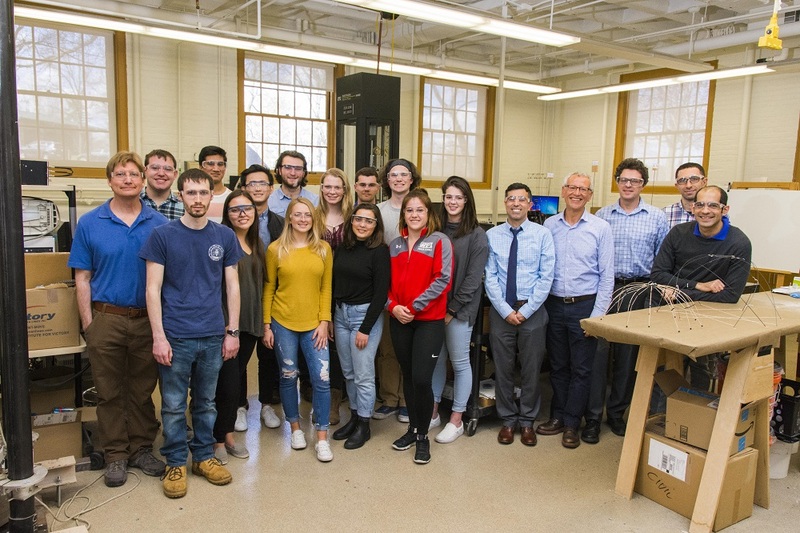 Since September 2018, WPI faculty and students in architectural, civil and environmental engineering programs have been working on the project on campus as well as in Morocco. The team is focusing on areas including architecture, engineering, innovation, renewable energy, and social consciousness. The building itself will feature low-cost, native materials that are easy to acquire, natural cooling and ventilation sources, and an integrated water collection and grey water treatment system. Team OCULUS members includes l'École Nationale Supérieure d'Arts et Métiers (ENSAM – Meknes, Morocco), l’Ecole National Supérieure d’Informatique et d’Analyse de Systèmes (ENSIAS – Rabat, Morocco) and the African University of Science and Technology (AUST – Abuja, Nigeria). The competition is sponsored by the Moroccan Ministry of Energy, Mines, Water and the Environment (MEMEE); the Moroccan Institute in Solar Energy and New Energies (IRESEN); and the U.S Department of Energy. A WPI-led team previously competed in the 2013 Solar Decathlon, held in Datong, China. WPI finished in 8th place out of 19 multi-national teams.